"MEPs" redirects here. For the plurals of MEP, see MEP (disambiguation). For other uses, see MEPS (disambiguation). Not to be confused with Parliamentary Assembly of the Council of Europe § Members. For a list of current MEPs, see List of members of the European Parliament, 2014–19. When the European Parliament (then known as the Common Assembly of the ECSC) first met in 1952, its members were directly appointed by the governments of member states from among those already sitting in their own national parliaments. Since 1979, however, MEPs have been elected by direct universal suffrage. Each member state establishes its own method for electing MEPs – and in some states this has changed over time – but the system chosen must be a form of proportional representation. Some member states elect their MEPs to represent a single national constituency; other states apportion seats to sub-national regions for election. The European Coal and Steel Community (ECSC) was an organisation of six European countries created after World War II to regulate their industrial production under a centralised authority. It was formally established in 1951 by the Treaty of Paris, signed by Belgium, France, Italy, Luxembourg, the Netherlands, and West Germany. The ECSC was the first international organisation to be based on the principles of supranationalism, and started the process of formal integration which ultimately led to the European Union. The concept of universal suffrage, also known as general suffrage or common suffrage, consists of the right to vote of all adult citizens, regardless of property ownership, income, race, or ethnicity, subject only to minor exceptions. In its original 19th-century usage by political reformers, universal suffrage was understood to mean only universal manhood suffrage; the vote was extended to women later, during the women's suffrage movement. From 1 January 2007, when Romania and Bulgaria joined the EU, there were 785 MEPs, but their number was reduced to 736 at the elections in 2009. With effect from the elections held in May 2014 the number has risen again and now stands at 751, with each member state having at least six and at most 96 MEPs. The system must be a form of proportional representation, under either the party list or Single Transferable Vote system. The electoral area may be subdivided if this will not generally affect the proportional nature of the voting system. Any election threshold on the national level must not exceed five percent. Party-list proportional representation systems are a family of voting systems emphasizing proportional representation (PR) in elections in which multiple candidates are elected through allocations to an electoral list. They can also be used as part of mixed additional member systems. The electoral threshold is the minimum share of the primary vote which a candidate or political party requires to achieve before they become entitled to any representation in a legislature. This limit can operate in various ways. For example, in party-list proportional representation systems an election threshold requires that a party must receive a specified minimum percentage of votes, either nationally or in a particular electoral district, to obtain any seats in the legislature. In multi-member constituencies using preferential voting, besides the electoral threshold, to be awarded a seat, a candidate is also required to achieve a quota, either on the primary vote or after distribution of preferences, which depends on the number of members to be return from a constituency. The allocation of seats to each member state is based on the principle of degressive proportionality, so that, while the size of the population of each nation is taken into account, smaller states elect more MEPs than would be strictly justified by their populations alone. As the number of MEPs granted to each member state has arisen from treaty negotiations, there is no precise formula for the apportionment of seats. No change in this configuration can occur without the unanimous consent of all national governments. Degressive proportionality is an approach to the allocation of seats in a legislature or other decision-making body. Degressive proportionality means that while the subdivisions do not each elect an equal number of members, smaller subdivisions are allocated more seats than would be allocated strictly in proportion to their population. The most recent elections to the European Parliament were the European elections of 2014, held in May of that year. They were the largest simultaneous transnational elections ever held anywhere in the world, since nearly 500 million citizens were eligible to vote. The European Parliament has a high turnover of members compared to some national parliaments. For instance, after the 2004 elections, the majority of elected members had not been members in the prior parliamentary session, though that could largely be put down to the recent enlargement. Hans-Gert Pöttering served the longest continuous term from the first elections in 1979 until 2014. In addition, an MEP may be part of an international delegation and have meetings with outside delegations coming to Brussels or Strasbourg or visiting committees or parliaments of external countries or regions. There are also a number of international parliaments that members participate in such as the ACP-EU Joint Parliamentary Assembly, the Euro-Mediterranean Parliamentary Assembly, the Euro-Latin American Parliamentary Assembly and lately, the Euromed Parliamentary Assembly. This work entails full annual parliamentary meetings and more frequent multilateral committee meetings. Members also make up a portion of European Election Observation missions. Also, there is the need to keep in touch with constituents in the home state. Most MEPs return to their constituencies on a Thursday evening to spend the Friday and often weekends dealing with individual constituents, local organisations, local and national politicians, businesses, trade unions, local councils and so on. Four weeks without parliamentary meetings set aside during the year and the parliamentary recess (four weeks in summer, two at Christmas/New Year) can also be used for constituency duties. MEPs may employ staff to help them, typically three or four split between their constituency office and office in Parliament. Because MEPs sit in a parliament with powers over fewer high-profile subjects than national parliaments (few or no powers over health, education, housing, law & order or defence, but significant powers over environmental standards, consumer protection, trade, employment law) their public profile in their home state is typically lower than that of national parliamentarians, at least those of the latter who are ministers or opposition spokesmen. Some MEPs choose to make their family home in or near Brussels rather than in their home state. Since the ratification and entry into force of the Treaty of Lisbon the adoption of nearly all European Union laws requires the approval of both the European Parliament and the Council of the European Union. Under co-decision procedure, they each have up to three readings of legislative proposals put forward by the European Commission in which they can each amend the proposal, but must ultimately approve a text in identical terms for it to be passed. This amounts to bicameralism. MEPs also elect the President of the Commission, on the basis of a proposal by the European Council and, following public hearings of the candidates, approve the appointment of the Commission as a whole. The Parliament may also dismiss the Commission in a vote of no-confidence (for instance, in 1999, the Commission presided by Jacques Santer resigned when faced with the certain adoption of such a vote of no confidence). MEPs may table parliamentary questions for Question time or for a written answer. 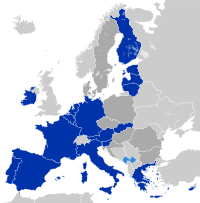 International agreements entered into by the European Union (e.g. WTO, trade agreements, etc.) must be approved by the European Parliament, as must the accession of new Member States to the Union. The EU's annual budget is adopted jointly by Parliament and the Council of the European Union, within overall limit on EU spending decided on by unanimous agreement of all Member States and a multilateral Financial Framework laid down by Council with Parliament's consent. The Parliament may also block certain Commission decisions where there has been a delegation of powers to the Commission and may repeal such delegation of powers. The Parliament also elects the European Ombudsman and holds hearings with candidates for the President and Board members of European Central Bank, the Court of Auditors and various EU agencies. Under the protocol on the privileges and immunities of the European Union, MEPs in their home state receive the same immunities as their own national parliamentarians. In other member states, MEPs are immune from detention and from legal proceedings, except when caught in the act of committing an offence. This immunity may be waived by application to the European Parliament by the authorities of the member state in question. Around a third of MEPs have previously held national parliamentary mandates, and over 10% have ministerial experience at a national level. There are usually a number of former prime ministers and former members of the European Commission. Many other MEPs have held office at a regional or local level in their home states. Current MEPs also include former judges, trade union leaders, media personalities, actors, soldiers, singers, athletes, and political activists. Many outgoing MEPs move into other political office. Several presidents, prime ministers or deputy prime ministers of member states are former MEPs, including former President of France Nicolas Sarkozy, former Deputy PM of the United Kingdom Nick Clegg, former Prime Minister of Italy Silvio Berlusconi, and Danish Prime Minister Helle Thorning-Schmidt, Belgian PM Elio Di Rupo. The so-called "dual mandate", in which an individual is a member of both his or her national parliament and the European Parliament, was officially discouraged by a growing number of political parties and Member States, and is prohibited as of 2009. In the 2004–2009 Parliament, a small number of members still held a dual mandate. Notably, Ian Paisley and John Hume once held "triple mandates" as MEP, MP in the House of Commons, and MLA in the Northern Ireland Assembly simultaneously. The proportion of MEPs elected in 2009 who were female was about 34 percent (in 2004 it was 30 percent and back in 1979 it was just 16.5 percent), a higher percentage than most national parliaments. This figure varies considerably among the various national delegations, however. Of UK members, for instance, approaching half of the Labour MEPs are female. The figure for the Parliament elected in 2009 is 35 percent. The oldest member is Jean-Marie Le Pen, aged 90, born in 1928, the founder and former member of the National Front. The youngest is Andrey Novakov of GERB in Bulgaria, aged 30, born in 1988, who joined the parliament in 2014  . It is conventional for countries acceding to the European Union to send a number of observers to Parliament in advance. The number of observers and their method of appointment (usually by national parliaments) is laid down in the joining countries' Treaties of Accession. Observers may attend debates and take part by invitation, but they may not vote or exercise other official duties. When the countries then become full member states, these observers become full MEPs for the interim period between accession and the next European elections. From 26 September 2005 to 31 December 2006, Bulgaria had 18 observers in Parliament and Romania 35. These were selected from government and opposition parties as agreed by the countries' national parliaments. Following accession on 1 January 2007, the observers became MEPs (with some personnel changes). The European Parliament (eighth edition, 2011, John Harper publishing), by Richard Corbett, Francis Jacobs and Michael Shackleton. The President of the European Council is the person presiding over and driving forward the work of the European Council, as well as a principal representative of the European Union (EU) on the world stage. This institution comprises the college of heads of state or government of EU member states as well as the President of the European Commission, and provides political direction to the European Union (EU). A European Commissioner is a member of the 28-member European Commission. Each member within the Commission holds a specific portfolio, and the Commission is led by the President of the European Commission. In simple terms they are the equivalent of national ministers. The President of the European Parliament presides over the debates and activities of the European Parliament. They also represent the Parliament within the EU and internationally. The president's signature is required for enacting most EU laws and the EU budget. Elections to the European Parliament take place every five years by universal adult suffrage. 751 MEPs are elected to the European Parliament, which has been directly elected since 1979. No other EU institution is directly elected, with the Council of the European Union and the European Council being only indirectly legitimated through national elections. While European political parties have the right to campaign EU-wide for the European elections, campaigns still take place through national election campaigns, advertising national delegates from national parties. The apportionment of seats within the European Parliament to each member state of the European Union is set out by the EU treaties. The apportionment of seats is not proportional to each state's population, nor does it reflect any particular mathematical formula; however, it is stated in the treaties that distribution of seats should be "degressively proportional" to the population of the member states. The process can be compared to the composition of the electoral college used to elect the President of the United States of America in that, pro rata, the smaller state received more places in the electoral college than the more populous states. Alexander Sebastian Léonce, Baron von der Wenge, Count Lambsdorff, commonly known as Alexander, Count Lambsdorff is a German politician of the Free Democratic Party of Germany, part of the Alliance of Liberals and Democrats for Europe. He has served as a Member of the Bundestag (MP) and Member of the European Parliament (MEP) from Germany. Elections to the European Parliament were held in the 27 member states of the European Union (EU) between 4 and 7 June 2009. A total of 736 Members of the European Parliament (MEPs) were elected to represent some 500 million Europeans, making these the biggest trans-national elections in history. An additional 18 observers were pre-elected. Michael McGowan is a British journalist and a former Member of the European Parliament, with a special interest in international affairs, European politics, Africa, peace, development, and human rights. He is a Director of Leeds City Credit Union, and a Director of PAFRAS – Positive Action for Refugees and Asylum Seekers, and until June 2009 was a National Executive Committee member of the Co-operative Party. In 2007 the President of the European Parliament, Hans-Gert Poettering, set up a special working group on parliamentary reform. It was chaired by Dagmar Roth-Behrendt MEP and was to improve the efficiency and image of the European Parliament. Some ideas included livening up the plenary sessions and a State of the Union debate. It is due to produce a final report in July 2008, and put the recommendations into practice by the 2009 elections. The European External Action Service (EEAS) is the diplomatic service and foreign and defence ministry of the European Union (EU). The EEAS is led by the High Representative for Foreign Affairs and Security Policy (HR), who is also President of the Foreign Affairs Council and Vice-President of the European Commission, and carries out the EU's Common Foreign and Security Policy (CFSP), including the Common Security and Defence Policy (CSDP). 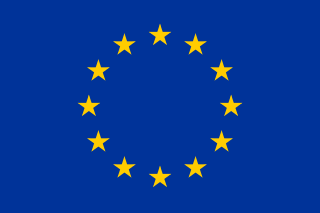 The history of the European Union since 2004 is the current timeline of the European union. It is a period of significant upheaval and reform following the 2004 enlargement of the European Union. The EU had just taken on ten new members, eight of which were much poorer than the EU average, and took in a further two in 2007 with many more on the way. It had just created the euro a few years before and had to expand this, and the Schengen Area to its new members. However this was overshadowed by the late-2000s recession and damaging disputes over the European Constitution and its successor, the Treaty of Lisbon. Throughout this period, José Manuel Barroso was President of the European Commission and the European People's Party was the largest group in the European Parliament. Dita Charanzová is a Member of the European Parliament. Parliamentary elections were held in the Gambia on 6 April 2017. They were first parliamentary elections since the inauguration of Adama Barrow as President and resulted in a landslide victory for the United Democratic Party, which won 31 of the 53 seats. ↑ "Rule 1 in Rules of Procedure of the European Parliament". Europarl.europa.eu. 20 September 1976. Retrieved 2011-11-28. ↑ Kreppel, Amie (2006). "Understanding the European Parliament from a Federalist Perspective: The Legislatures of the USA and EU Compared" (PDF). Center for European Studies, University of Florida . Retrieved 26 September 2008. ↑ ""What to expect in the 2009–14 European Parliament": Analysis from a leading EU expert". European Parliament website. 2009. Archived from the original on 10 February 2010. Retrieved 17 February 2010. ↑ "Cohesion rates". Vote Watch. 2010. Retrieved 17 February 2010. ↑ Indeed, Brussels is de facto the main base of the Parliament, as well as of the Commission and the Council. European Parliament in brief. Retrieved 20 May 2010. ↑ "The budget of the European Parliament". European Parliament web site. Retrieved 26 Jul 2015. ↑ Lungescu, Oana; Matzko, Laszlo (26 January 2004). "Germany blocks MEP pay rises". BBC News. Retrieved 5 January 2010. ↑ Fresh start with new Members' Statute: The salary – a judgmental question . European Parliament Press Release. 7 January 2009. ↑ "EP adopts a single statute for MEPs". ↑ "EU Parliament Users' Guide Code of Conduct for Members" (PDF). European Parliament. Archived from the original (PDF) on 3 June 2017. Retrieved 6 March 2017. ↑ In addition, Australian and other Commonwealth citizens residing in the United Kingdom are eligible to vote and stand for election there.